Hosting a Halloween party this year? 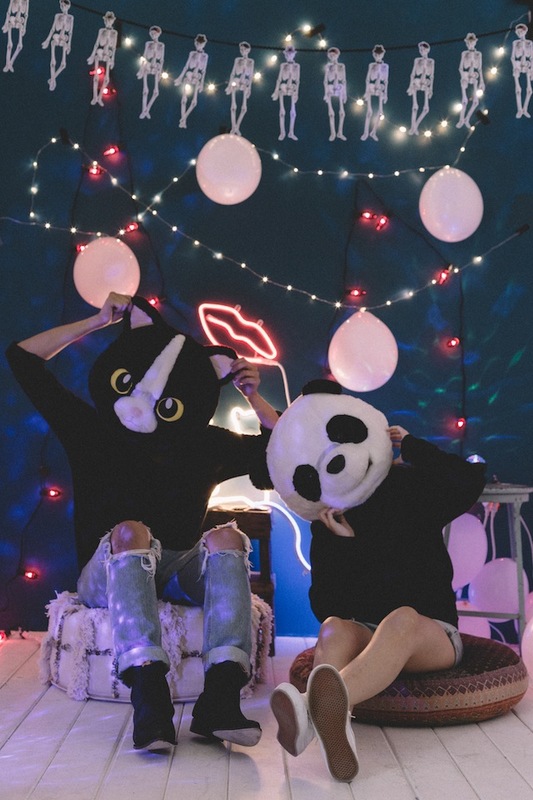 Then you’ll definitely need a backdrop for your photo booth or for various dessert or cake bars for your party – everyone will come in amazing costumes and you should picture that moment! 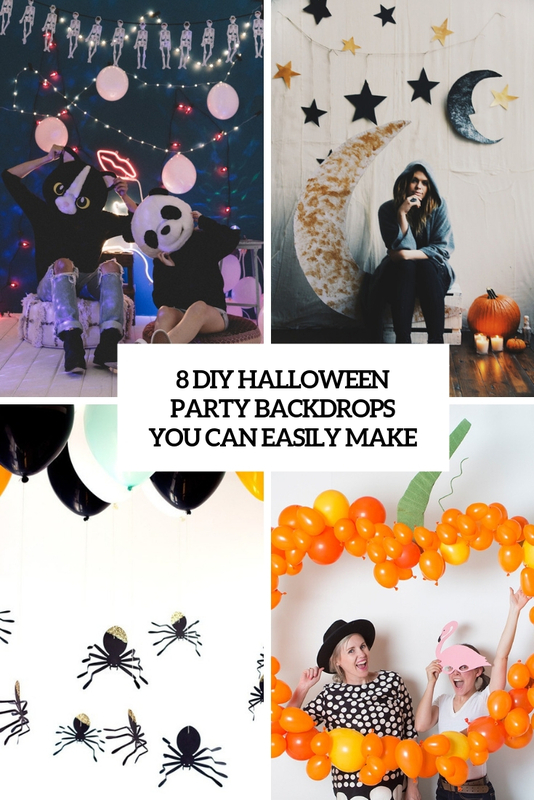 I’ve gathered some tutorials to inspire you to make something cool – these crafts won’t take much time and you’ll get cool spooky or family-friendly backdrops for your party. Get inspired! 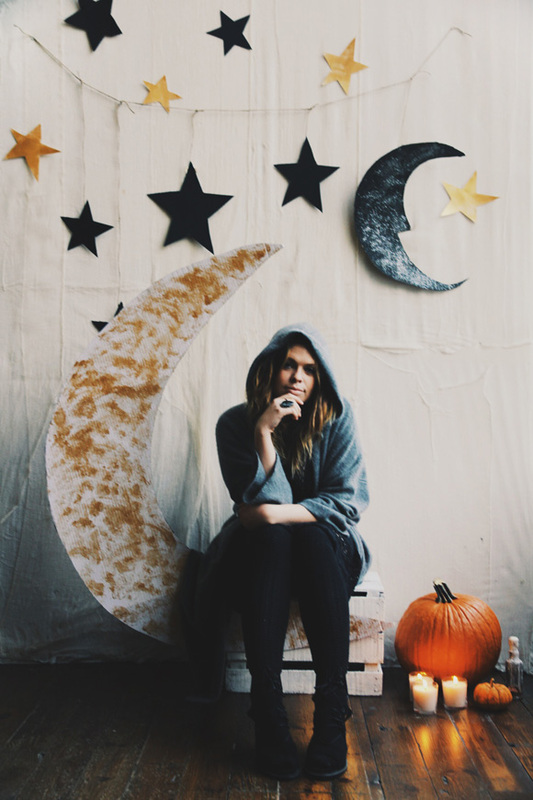 This is not a scary idea, it’s pumpkin time and this is a pumpkin backdrop. 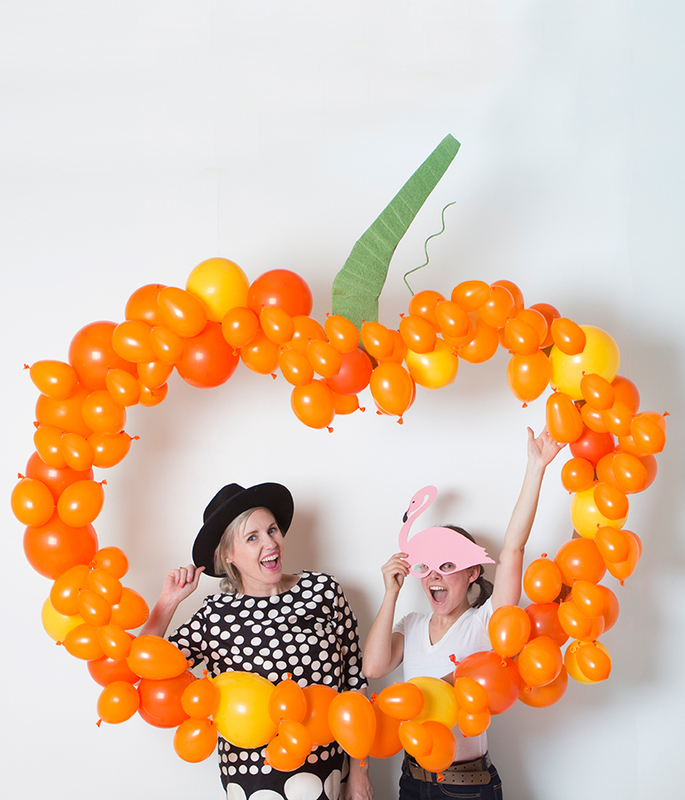 This DIY pumpkin balloon backdrop is super easy to make and would be perfect for your photobooth backdrop. Just get a few bags of balloons and you’re set! Besides, it will easily fit many other types of parties – from usual fall ones to Thanksgiving as pumpkins are actual during the whole fall. 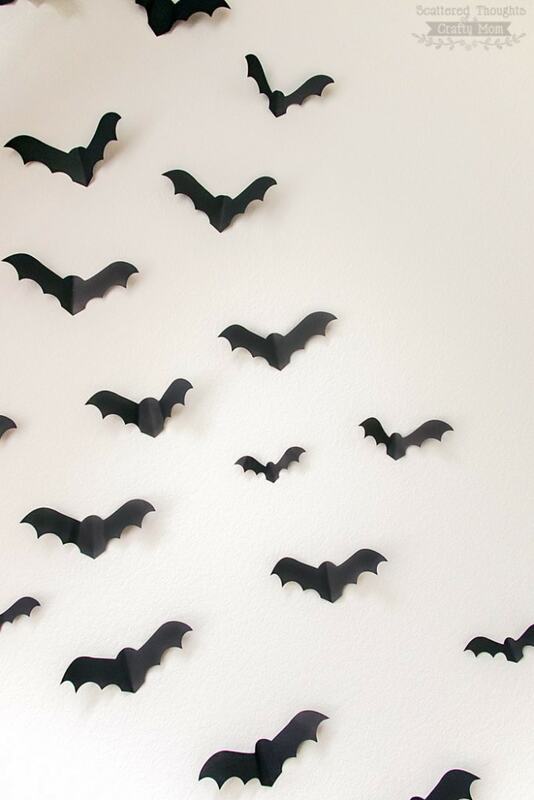 Bats are popular for Halloween and making a bat backdrop is a great idea for your party. This free paper bat template is a perfectly spooky Halloween decorating project that is perfect for parties or everyday Halloween fun! It won’t take much fun, it is just about cutting out some bats and attaching them to the wall. So easy and so fun! 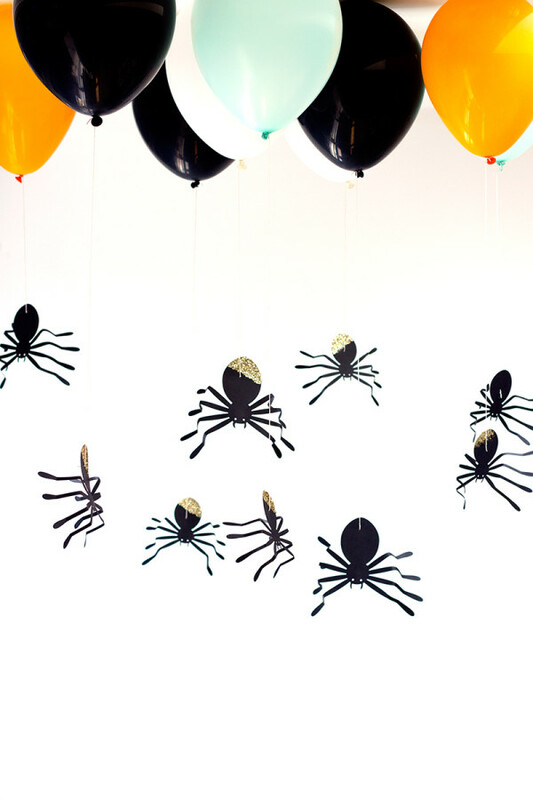 Glittered spiders, hanging from balloons on the ceiling are a perfect touch of spook for a Halloween party, and would make an awesome addition to the entrance, or as a “chandelier” over a dessert table. The glitter is optional but encouraged. Because really the only way spiders are acceptable is when they’re glittered, and hanging from balloons. Not scary yet stylish and Halloween-like! Everyone will come to your party in incredible costumes, so you should make a spectacular backdrop for bold pics. As this year celestial and galaxy decor and theme are very popular, this backdrop is also inspired by celestial bodies to set the mood. Moons, stars, glitter, it’s all there, and it makes for a magical scene that is perfect for All Hallow’s Eve. Make it and go for a trendy moody and celestial theme! Get into the spirit of Halloween with this otherworldly neon photo backdrop. It’s just the right amount of spooky and is very stylish and non-typical. It includes lights, neon signs, balloons and skeletons – right what you need for a stylish grown-up Halloween party. Read how to attach all these elements to the wall and create a chic wall! It’s helpful to have a mix of Googly Eye sizes. The little ones are cute, but the big ones make more of an impact. It’s also fun to experiment with scale. 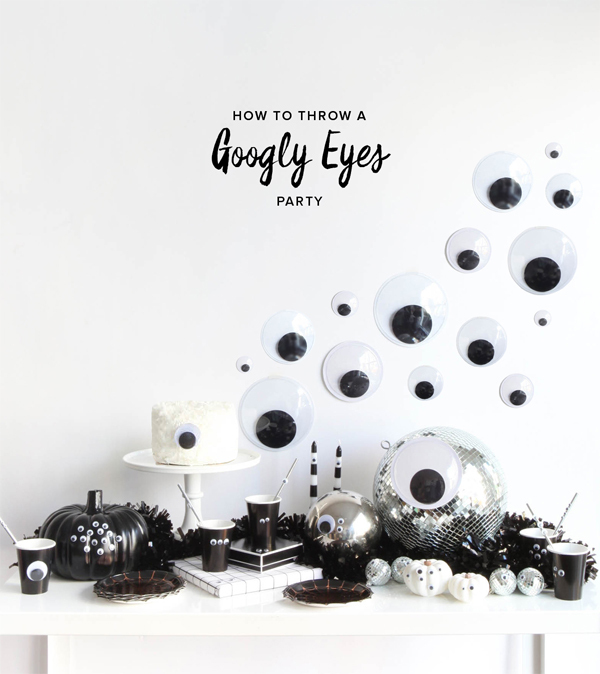 You may just attach these eyes to the wall to create a photobooth backdrop or make a dessert table backdrop – attach as many as you need in any sizes. The craft won’t take much time and you’ll get a simple and cute backdrop! 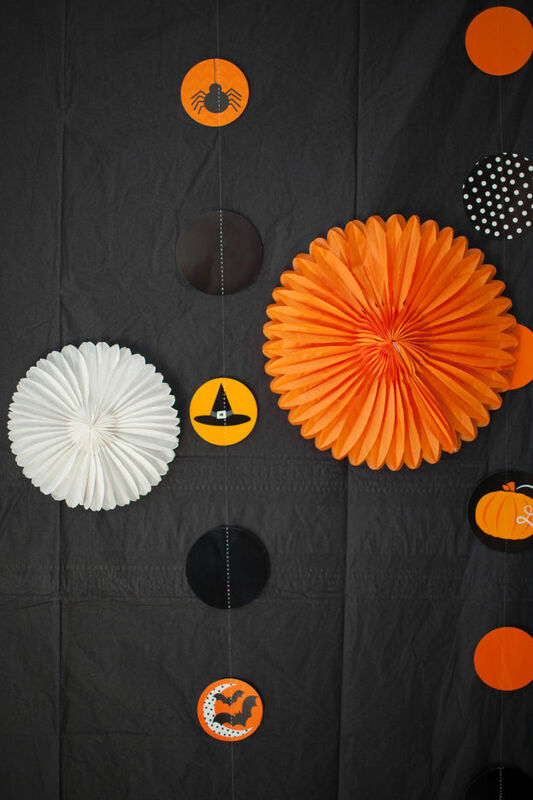 This cute Halloween backdrop will be great for a kids’ party. Get spinning on your own Halloween garland by first layering paper cobwebs on top of colorful honeycomb tissue balls. Then, string on these black, orange, and rose gold pinwheels. Go for bold colors to make your kids’ party more fun. Read the tutorial to find out more details about the craft. 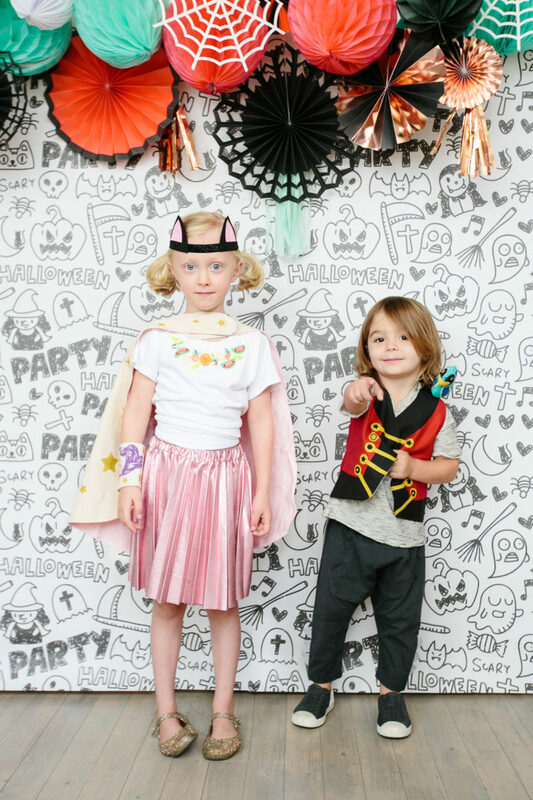 There are so many variations for making your photo booth — this Halloween photobooth backdrop is family-friendly and not too spooky. There’s a black backdrop with colorful paper fans and various painted spiders, pumpkins and stuff like that. Get inspired!